Increased patient throughput for higher revenue and better patient satisfaction. Fully motorized for ease of use. 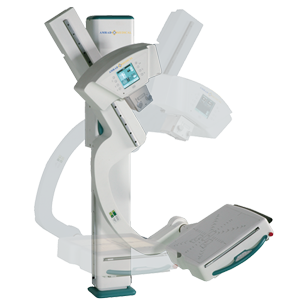 Fully integrated, single user console, when purchased with Advantage DR.
500lb patient capacity mobile table allows for cross-table imaging and recumbent views. Fully motorized for easy manual movement of structure, the AAU offers the same features as the AAU Plus without the auto-positioning feature. Designed to meet the demands of low to mid volume facilities. 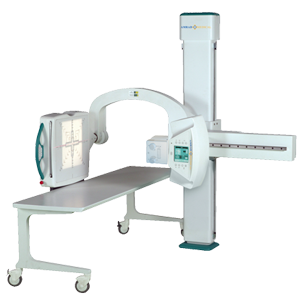 This x-ray system are developed, assembled and integrated in America.